As I mentioned last week, this weekend was cookie baking weekend. This year, I made cookie tins for 16 different people, so I made 5 full batches of treats in total. That is not an insignificant amount of cookies. In fact, I was in the kitchen so long that I went through my entire Christmas playlist. That’s a good 5 hours of Christmas music. As a side note, Straight No Chaser’s new album is excellent. I’m partial to “Text Me Merry Christmas” and “Nutcracker“. You should watch both of those videos before you keep reading. 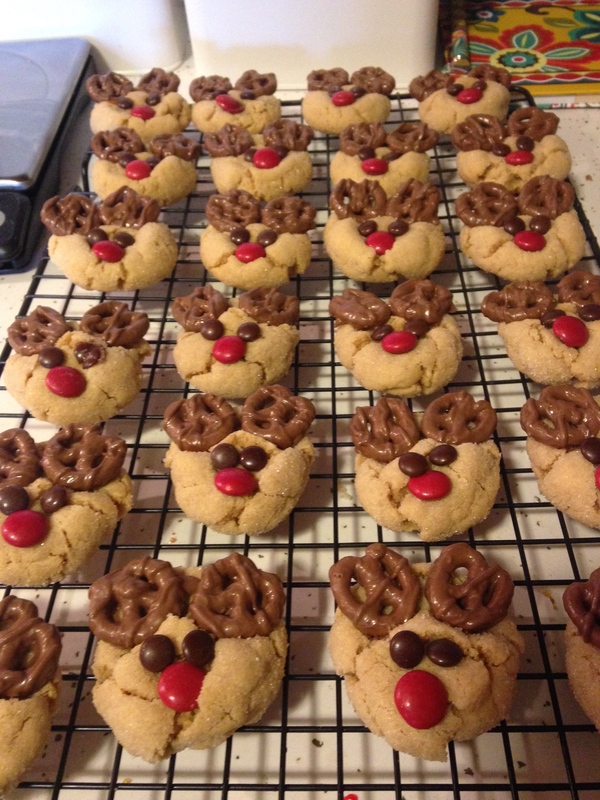 Fortunately, last weekend I got a head start with salted caramel chocolate shortbread bars, so yesterday I was really only making 4 types of cookies, including Christmas roll sugar cookies, gingerbread men, peppermint white chocolate cookies, and, today’s feature, peanut butter reindeer cookies. For this recipe, I took the peanut butter base that I usually use for peanut butter blossoms (those cookies with the hershey kiss on top), and just pressed in some different decorations to copy the pictures that are all over Pinterest. 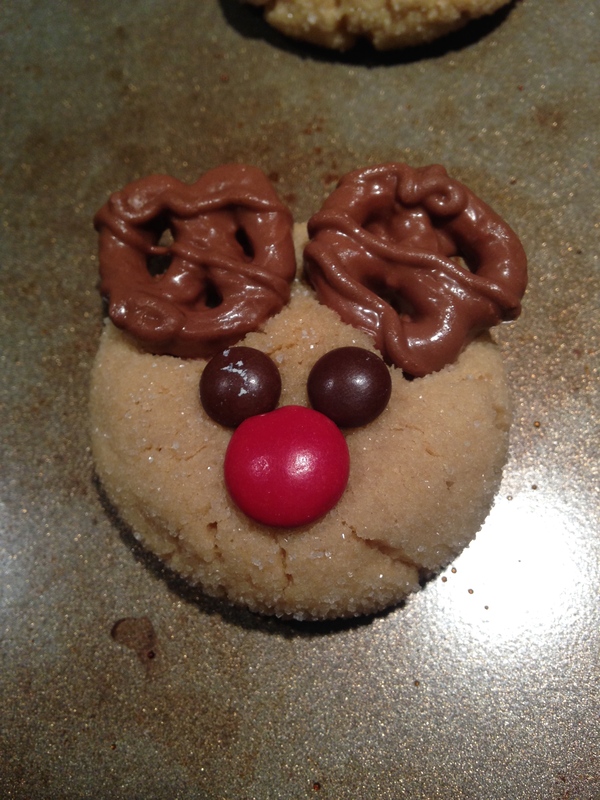 When you make peanut butter blossoms, you want the cookies to crack a bit, but for these reindeer, that’s not actually a good thing. Lucky for you, I tested a couple different methods to figure out what worked best, so you don’t have to. Basically, the best strategy is to slightly underbake the cookies so they’re still soft, and to move quickly when putting on the decorations. You still might end up with a couple one-eyed reindeer when an m&m decides not to stick, but it’s better than a reindeer that crumbles to pieces when you try to attach an antler. 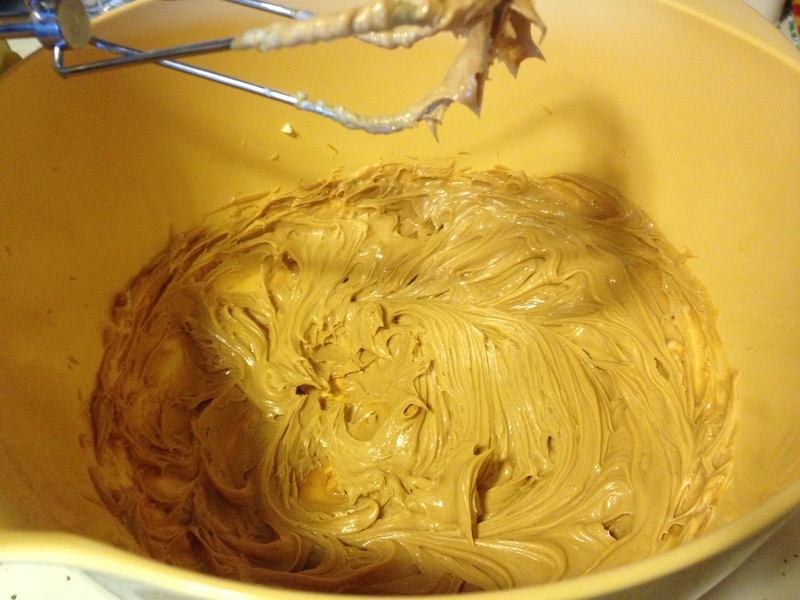 First, cream together the shortening and peanut butter in a large bowl. Then, add the sugar and brown sugar and beat until fluffy. Add the egg, milk, and vanilla and beat well. In a separate bowl, combine the flour and baking soda. Add it to the peanut butter mixture gradually and beat well until the dough comes together. Roll the dough in 1 inch balls. Roll the balls in sugar and place on an ungreased cookie sheet. I found the best cookies were when I rolled them more into a flattened but fat disk, since that gave a little more surface area to press things later on. Bake the cookies at 375°F for about 6-8 minutes. You want them to still look a little soft – as soon as they look dry, you’re risking crumbly reindeer. Remove from the oven and immediately press in the pretzel antlers and m&m faces. I first put antlers on all of them before going back to do faces since they were what I was more concerned about sticking. Let the cookies cool for a couple minutes on the baking sheet before transferring to a wire rack to cool completely. And I do mean completely here. The candies and such are attaching to the cookie by melting and re-hardening, so it’s really important that you let them go through that whole process before you move them anywhere else. If you get through all of those nitpicky steps, the results are adorable! 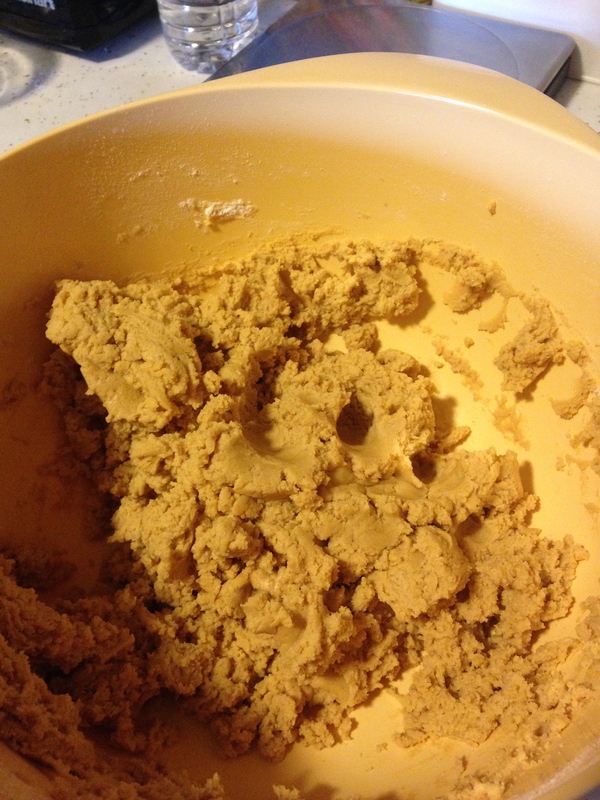 Cream together shortening and peanut butter in a large bowl with a hand mixer on medium speed. Add sugar and brown sugar and beat until fluffy. Add egg, milk, and vanilla and beat to combine. 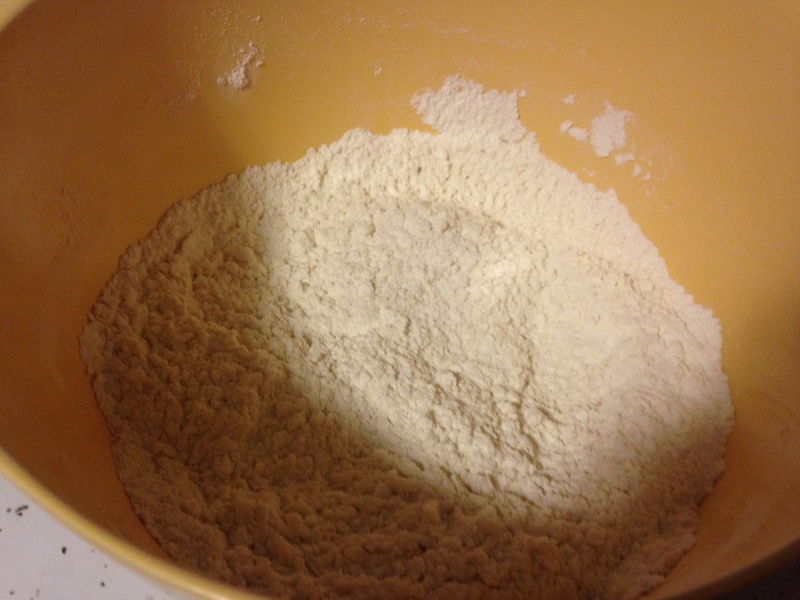 Combine flour and baking soda in a separate bowl. 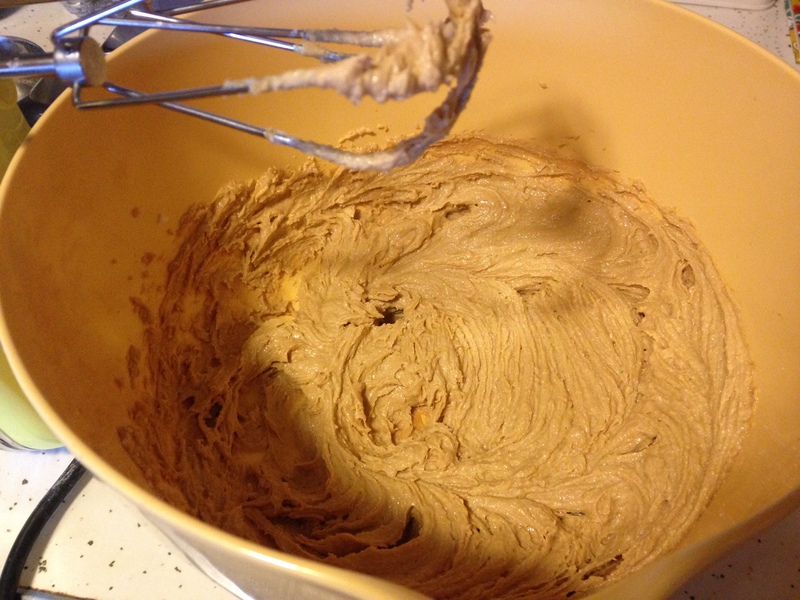 Add gradually to peanut butter mixture, beating until dough comes together. 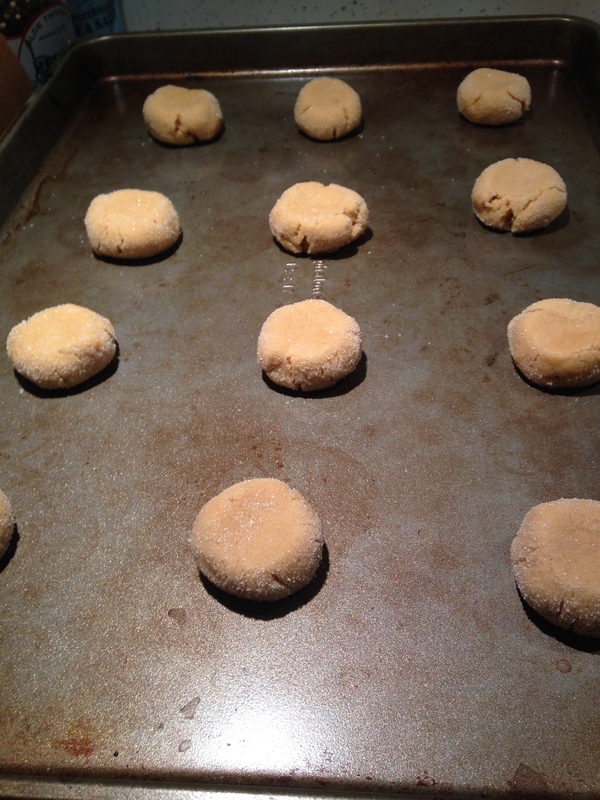 Roll dough in 1 inch balls, roll the balls in the extra sugar, and place on ungreased cookie sheet. Bake at 375°F for 6-8 minutes, until slightly underbaked. 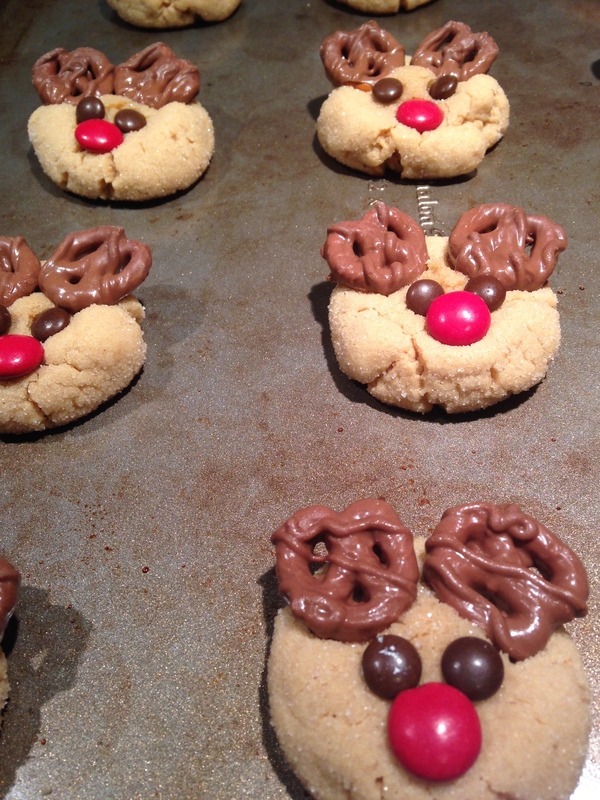 Immediately press pretzels and m&m’s into cookies to make reindeer faces. Allow to cool slightly on baking pan before transferring to wire rack to cool completely. Like to SMiLe? Follow Me!